We love December at The Old Vicarage Care Home, at this time of year we have our annual Christmas visit from The Mucky Pups Nursery School in Corby. 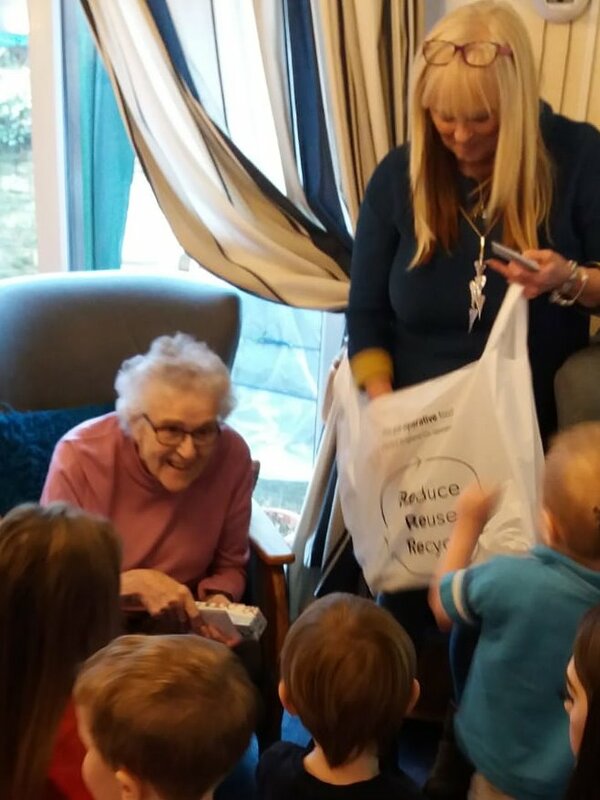 This Christmas the lovely little ones from Mucky Pups came to The Old Vicarage Care Home and sang some lovely traditional Christmas rhymes and played Pass the Parcel with our residents. The children had made The Old Vic a special Christmas canvas with their thumb prints as baubles. It felt so heart-warming to see the two generations come together at Christmas!